Dädesjö Gamla Kyrka is a small church from the 13th century. 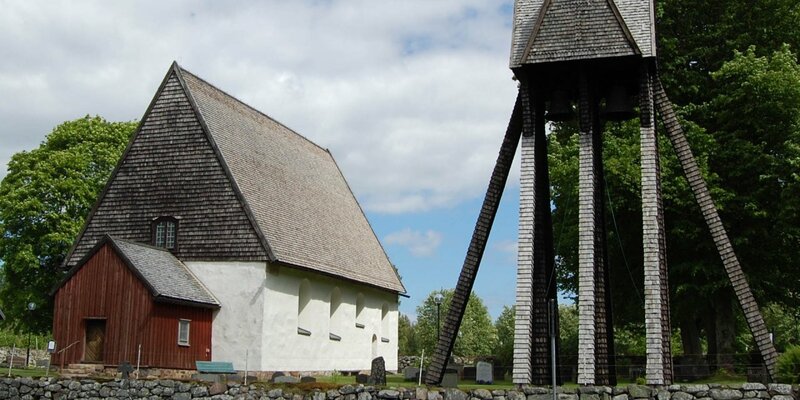 It is located approximately 25 kilometers northeast of Växjö and is very unimpressive from the outside, but internationally known of its ceiling paintings. 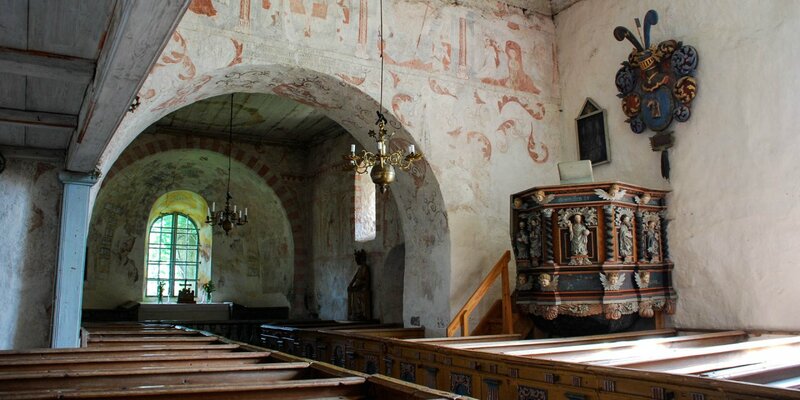 Such an old and preserved painted wooden ceiling, as it can be found in the Dädesjö Gamla Kyrka in the village Dädesjö located in the forests of Småland, can be found in the whole of Europe only in two other churches. 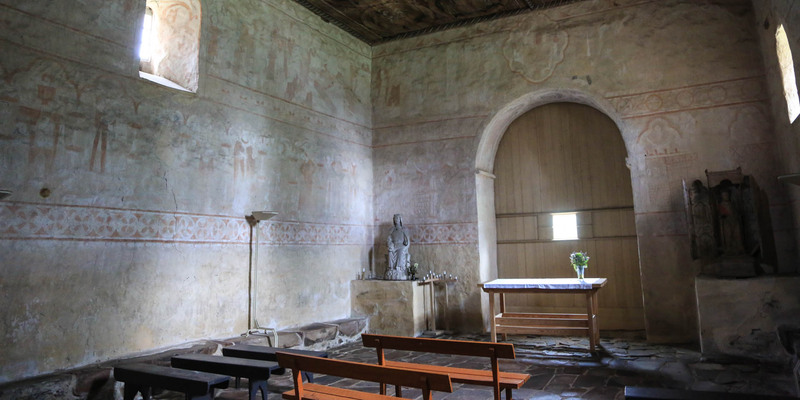 On the one hand in the St. Martin church in the Swiss village of Zillis and on the other hand in the Michaelis church in Hildesheim in Germany, whose ceiling paintings dates from 1100 and 1200 AD. 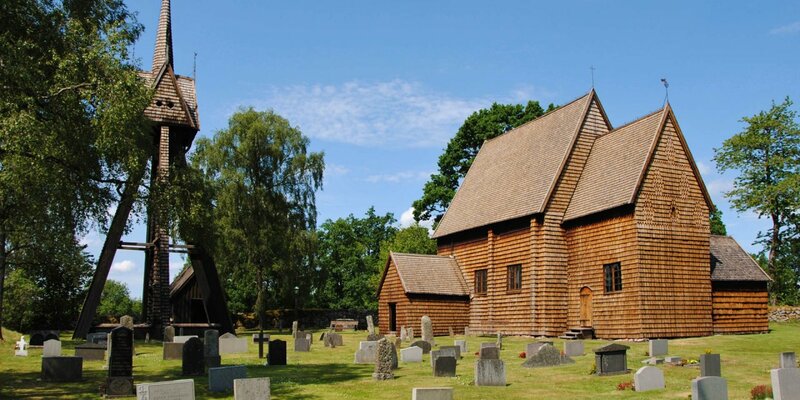 The painting of the wooden ceiling in the church of Dädesjö dates back to the time the church was built around 1260. Unlike other churches, it has never been painted over. The old wooden ceiling consists of softwood boards, which have a continuous painting in the form of different medallions. The illustrated motifs mainly depict scenes from the Christmas evangelium and tell the story of the birth of Christ like a kind of historical comic. The walls are also decorated with mediaeval paintings. The upper walls show depictions of the suffering and the death of Jesus, while the lower walls show the legend of St. Nicholas. In the triumphal arch, besides the well-preserved representation of two lions, there is a rune inscription with the name of Sighmundr, the presumed creator of the paintings in the church. Apart from an early 13th century wooden carved statue of Mary and a wooden sculpture of St. Olaf, there are no other medieval sacred objects in the church. The former baptismal font is now in the new church of Dädesjö. When this new church was consecrated in 1794, the choir and apse of the old church were demolished, and the remaining nave was used as a storage room. After rediscovering the unique paintings, the church came into the possession of the state in 1906, was thoroughly restored in the late 1930s, and is an object of particular national interest since 2015.